Fill out the form with any questions or inquiries you have for the sales consultants at Hunters Run. You can also call or chat with us for immediate responses. Turn right on Cyntheanne Rd. With new homes in Fishers designed and built for the way you live, Hunters Run features distinct design collections with smart, open floorplans that cater to both family living and entertaining. 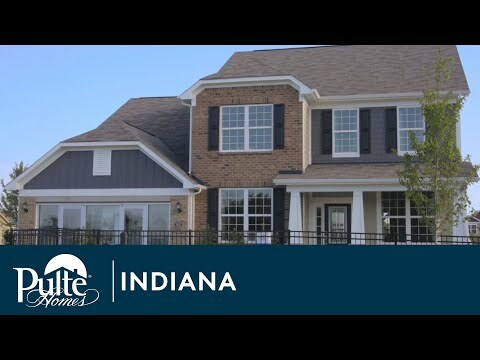 This Pulte Homes community in Fishers is located in the sought-after Hamilton Southeastern School District, minutes from Hamilton Town Center shopping and dining. The life you want to live is waiting for you at Hunters Run. Explore this community and see for yourself. The Crossings Series offers open floorplans perfect for entertaining, lofts for added living spaces and Life Tested® features like the Pulte Planning Center® and Everyday Entry® to keep you organized. The Manors Series offers home designs with soaring two-story gathering rooms, formal and casual dining spaces, large kitchens and included unfinished basements with plenty of space to entertain. The single-story Amberwood stands out for its spacious design, with an open kitchen, Everyday Entry®, and Pulte Planning Center®. Baldwin has what families need: open gathering areas, flex space, walk-in closets, extra storage, and a Pulte Planning Center®. The Greenfield’s open concept features a spacious flex room, Pulte Planning Center®, second-floor loft and walk-in closets in all bedrooms. The spacious Hilltop features a walk-in kitchen pantry, flex room, loft and four bedrooms with walk-in closets.